Complete your circle with four distinct wedges of joy. 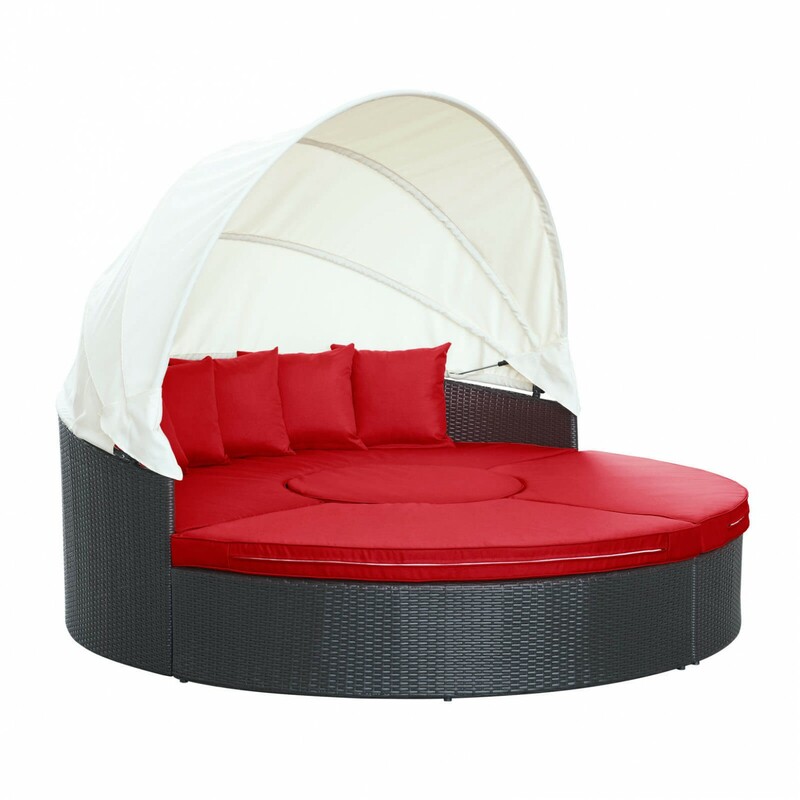 Quest pieces together the puzzle of experience with a fun and versatile daybed. Adjourn for your daytime repast either by yourself or with others. Like offering a friend a warm slice of pie, Quest’s pieces easily separate to serve the seating needs of others. 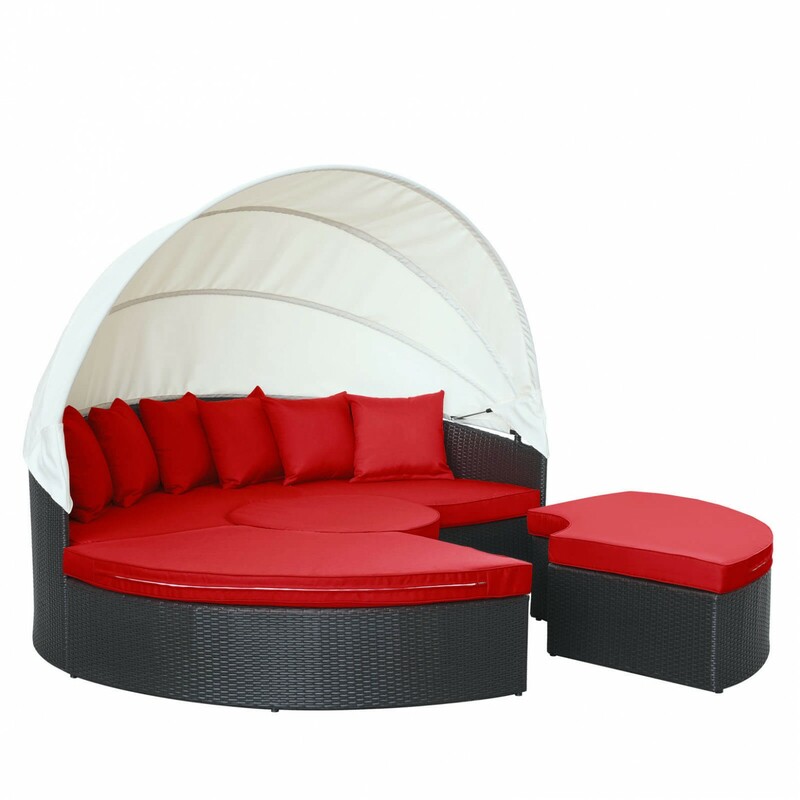 The set also comes equipped with a sun canopy to shield your leisure time with the pleasantness of shade. 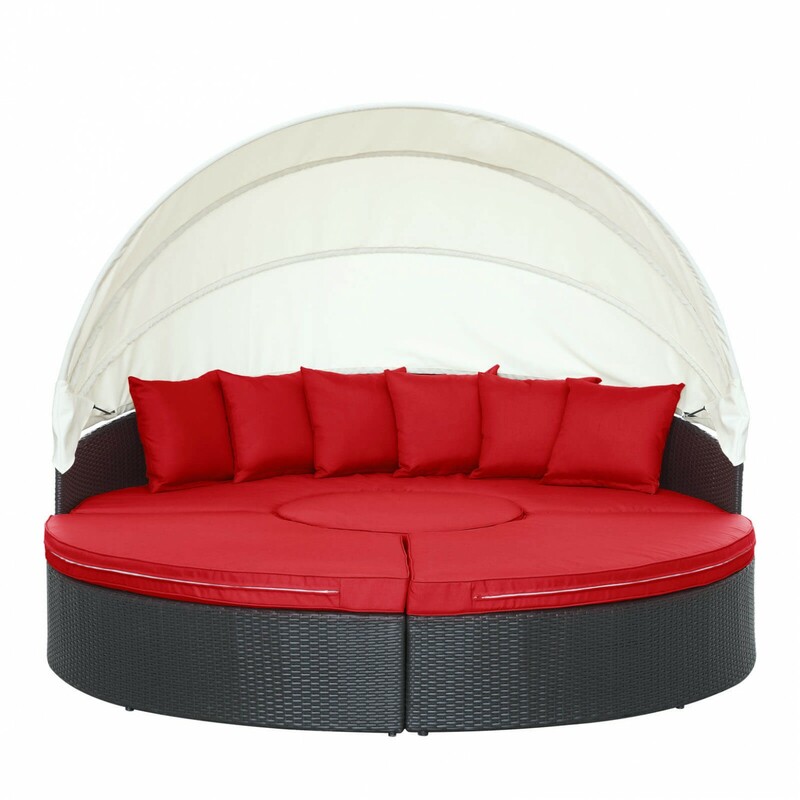 Courageously engaging, this is a daybed that reveals the hidden art of collaboration and communal engagement. 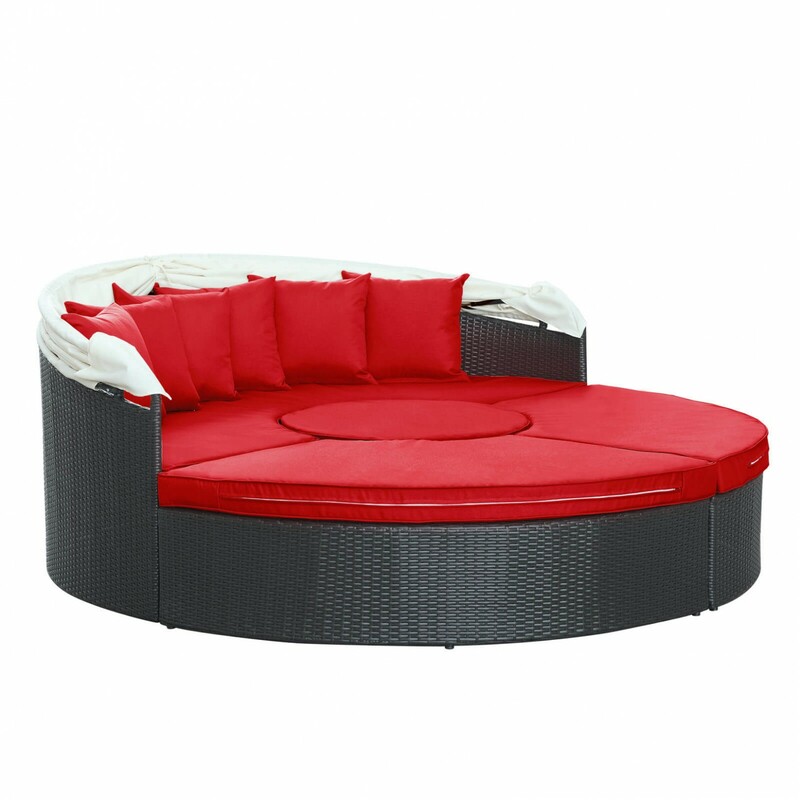 Quest is comprised of a UV resistant rattan base, a powder-coated aluminum frame and all-weather cushions. 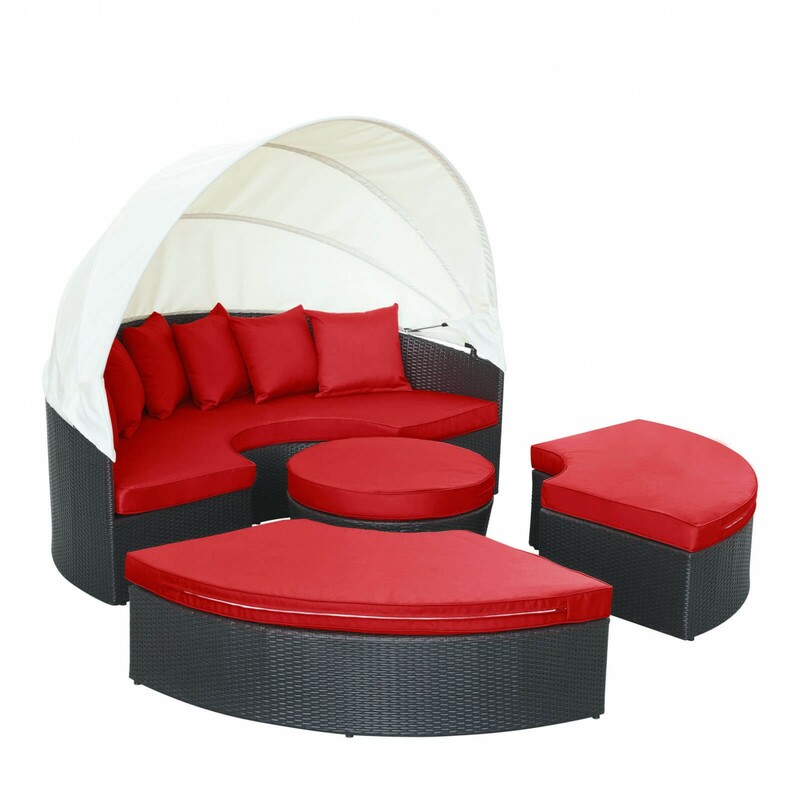 The set is perfect for cafes, restaurants, pool areas, hotels, resorts and other outdoor spaces. W86.5" x D86.5" x H31.5"